We went to a baptism this evening. For a mother and her son. And it made me think about the many blessings I have that are related to that ordinance. So today, I'm thankful I was baptized by immersion for the remission of my sins and confirmed a member of the Church of Jesus Christ of Latter-Day Saints. I was baptized by my dad when I was eight years old. 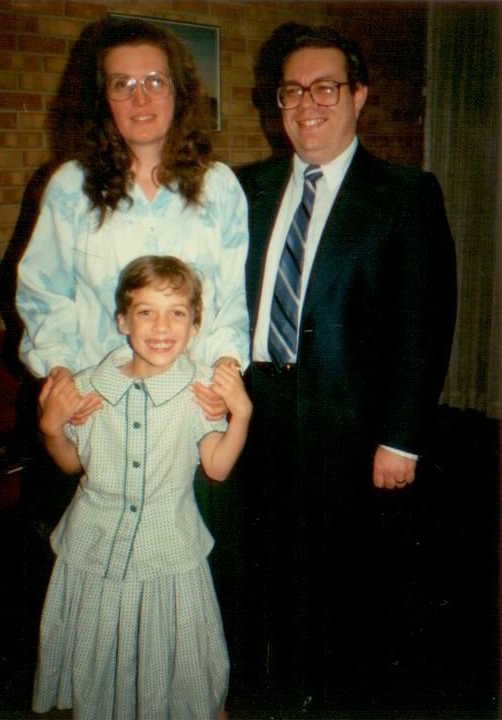 I specifically remember being baptized on a Friday night because there was a BYU/Air Force football game on Saturday that - ahem - some of the parents/families involved wanted to attend (and I'm pretty sure we won, too). To be honest, I don't remember a ton about that day. I remember the two boys baptized the same day. I remember my grandma and aunt and uncle came to Colorado to join us. I remember the normal chill of the November evening. I remember a sweet sister who did my hair a little fancier than usual. I remember being more nervous that my dad would slip than nervous about me falling or not going under or anything. 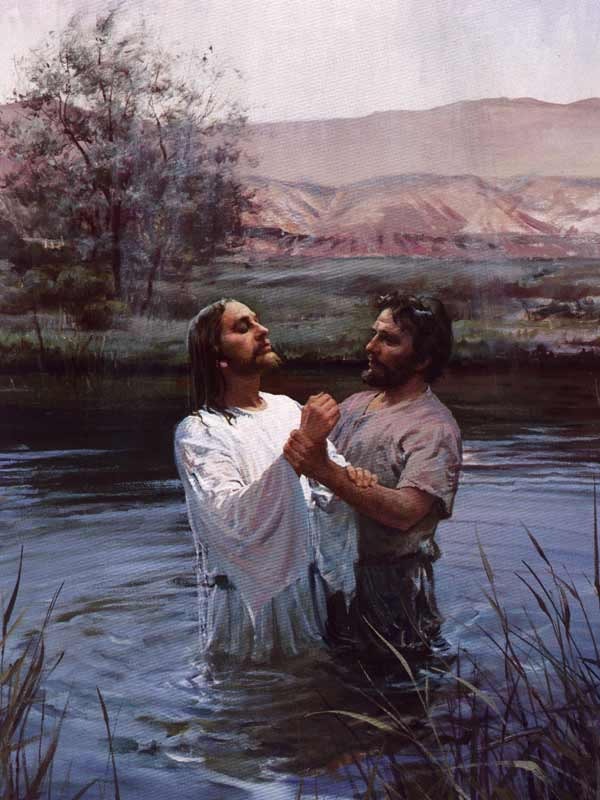 I remember walking into the water and being baptized. The water was actually pretty warm and when I came up out of it, I remember thinking, "Wow, I really don't feel that much different. Maybe I didn't have as many sins as I thought..." :) I guess I had expected a brand new person to take over my body. A sinless perfect one. But even though I was still me, I could feel warmth and peace. A confirmation that not only was my earthly family pleased to be there and witness my baptism, but my Heavenly Family was too. Funny that I don't remember all of what happened. It's not that important, actually. I mean, I needed to be baptized to be cleansed from sin and to make my first covenant with Heavenly Father, but the day itself isn't that important. What I think is important is that I continue to remember and keep that covenant I made. That I would follow Jesus Christ and live as His disciple. My baptism symbolized a step in that direction. My path was now centered on Him. I am grateful for that decision I made as an eight year old. Some might argue that I didn't know what I was doing at that age. Well, I definitely didn't know then what I know now. But because of goodly parents and teachers, I knew I wanted to follow Jesus. To be like Him. And remembering that day and the promises I made reminds me of who I am and where I am going and where I want to be. Remembering that day reminds me to try to raise my children with kindness. It reminds me that I need to forgive when I've been offended. It reminds me I need to ask for forgiveness when I've been stupid (which is pretty much all the time). It reminds me that even though I make mistakes and sin, repentance allows me to again be clean. Like I was that day.